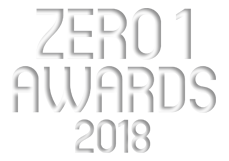 The Zero1 Awards exemplify the best of performance and the year 2018 has had some remarkable products. Digit’s Zero1 Awards are given out to the best performing products of the year, in an effort to remind you of what you should consider buying – if you’re the type that has to have the absolute best products. It’s also our way of rewarding brands for putting in tonnes of research and development, and coming up with the best performing product. Sometimes this could be a product that’s been in the market for most of the year, and sometimes that could be a product that’s launched as late as November! In order to keep thing’s fair, we accept products that were launched in the 12-month period between Zero1 Awards. Thus, for this year, these are the very best products that were launched after December 1 2017, and on or before November 30 2018. Why such weird dates? Because we publish the awards on December 1 every year, and we’re not superhuman, we need time to test them. For the products launching closer to the end of the year, we get those ahead of time under embargo for this reason. And when we say “test them” we mean putting all of the products listed here through the wringer that is our comprehensive test process. Each and every category we cover has a rigorous test process that’s followed for each product, and then a winner is calculated. It’s almost the same test process as all the other reviews we do, except that it has no scores being awarded for features, or price.